A defibrillator is a medical device which provides an electric shock to a person suffering with a sudden cardiac arrest. Sudden cardiac arrest normally occurs due to an abnormality with a heart's electric rhythm (know as ventricular fibrillation), where the electrical impulses that control the heart becoming uncoordinated causing the heart to stop beating. The use of a defibrillator to provide a high energy electric shock stops the chaotic rhythm and allows the heart's normal electrical rhythm to re-start and begin pumping once again. 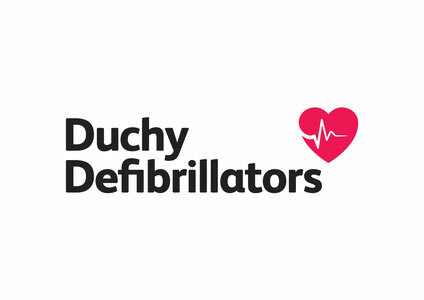 To use a defibrillator it is important to recognise that the person who has collapsed may have sudden cardiac arrest. It is very important that 999 is dialled and an ambulance is dispatched. To use the defibrillator attach the two adhesive pads (electrodes) that are used to connect the device to the persons bare chest. Through the pads the defibrillator can both monitor the heart’s electrical rhythm and deliver a shock if needed. The defibrillator will provide an audible instruction for the user to follow. The defibrillator will analyse the persons heart’s electrical rhythm and if it detects a rhythm likely to respond to a shock, it will charge and deliver the high energy shock. Afterwards the device will inform the rescuer to give the victim CPR. After a fixed period, the device will instruct the rescuers not to touch the victim while it checks the heart rhythm and a further shock is given (if it is needed). Modern defibrillators are very reliable and will not allow a shock to be delivered unless it is needed. They are safe and present minimal risk of a rescuer receiving a shock. The device require hardly any routine maintenance or servicing; most perform daily self-checks and display a warning if they need attention. Most defibrillators have a minimum life-expectancy of ten years, and the batteries and pads have a long shelf-life.